After catching a glimpse of the Buick Avenir concept car at the North American International Auto Show (NAIAS) in 2015, we have to say we became incredibly excited about the potential future of Buick. And while not all concept cars come to fruition, it seems that Buick is taking a step in the right direction with their announcement of a sub-brand with the Avenir name. 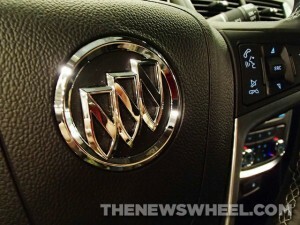 What this Avenir sub-brand means is that Buick will possibly take specific details and finishes from the concept car of the same name (along with the Avista concept, introduced at the 2016 NAIAS) and apply them to pre-existing Buick models, similar to what GMC has done with their Denali trims. What Buick has learned in recent years is that their audience has been evolving and that they expect higher quality and performance in the vehicles from the classic brand, so the adjusted sub-brand will hopefully cater to those expectations. The projected release date for Avenir (French word for “future”) will be during the 2018 model year. More details of the sub-brand should be announced in the next year and we will be sure to keep our eyes and ears open. Visit us at Rivard Buick GMC if you have any questions or would like to test drive any vehicles we have available! This entry was posted in Buick Concepts and tagged 2018 Buick, Avenir, Buick, Buick Avenir. Bookmark the permalink.